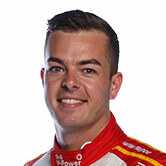 Scott McLaughlin said he “looked like an absolute Gumby” as he endured several off-track excursions while learning the new Bend circuit in opening practice at the OTR SuperSprint. The championship leader wound up 18th after a series of hairy moments that included a big spin at Turn 14 early in the going. McLaughlin’s experience of the circuit prior to practice was laps in Shell V-Power Racing's simulator, having been one of few drivers not to venture to the track beforehand. “It was loose. I had so many offs, I looked like an absolute Gumby, just trying to find the limit and pushing too far,” he said of the session. “We ran a little bit of a race run there just to get an understanding of the tyres and it seems the tyres take a little bit to switch on, but once they do it blows over. It was very interesting. 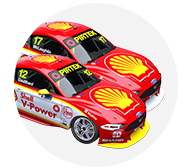 The #17 Shell Ford did 16 laps in the session – a tally beaten only by Red Bull HRT’s Jamie Whincup, who ended up one place ahead. They were both more than 1.7 seconds off the pace set by Tim Slade, having spent the bulk of the morning in the bottom half of the order. McLaughlin did two four-lap runs in the 45-minute session, opting for the relatively longer stints rather than going out on a set of new tyres at the end. “It’s our normal thing at every race, so we didn’t want to change too much,” he said of the long-run strategy. “I wanted to get plenty of laps for myself, just to get comfortable with the track and what I need to do and where I need to hit my marks. Despite his struggles, McLaughlin said he enjoyed the 4.95km layout, with Practice 2 starting at 3:05pm. “It’s awesome, it’s very different to anywhere else we go and for these cars it’s quite a challenge,” he said. “They’re big heavy things and there’s big, loaded corners.